Preview images for the upcoming issue of Famitsu have revealed that Rayark is developing Cytus Alpha for Nintendo Switch. This rhythm game is a remake of the smartphone game Cytus. The game will be published by Flyhigh Works. 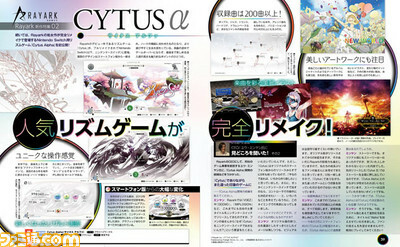 We should have more info once the full issue of Famitsu is out tomorrow.